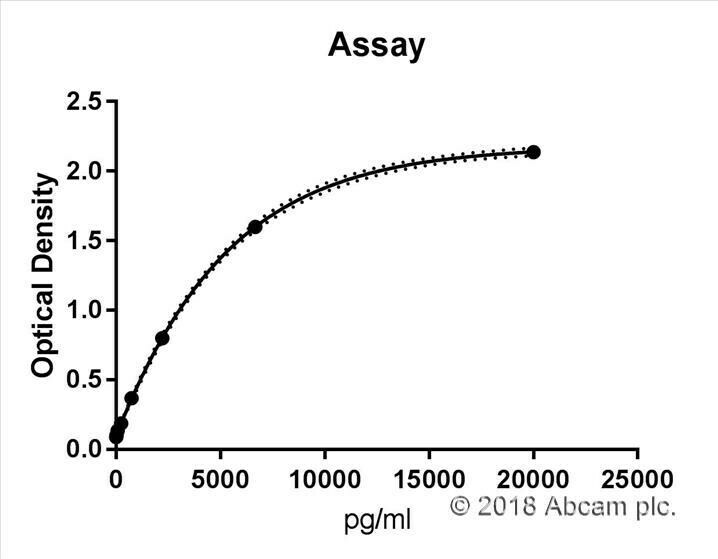 Abcam’s MMP2 Mouse ELISA (Enzyme-Linked Immunosorbent Assay) kit is an in vitro enzyme-linked immunosorbent assay for the quantitative measurement of mouse MMP2 in serum, plasma and cell culture supernatants. 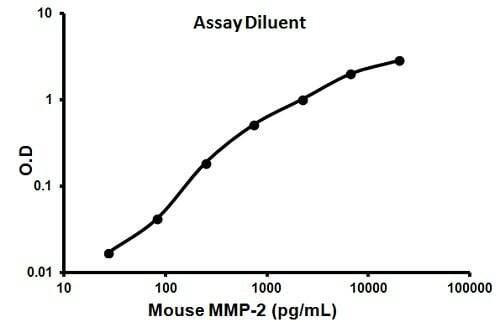 This assay employs an antibody specific for mouse MMP2 coated on a 96-well plate. Standards and samples are pipetted into the wells and MMP2 present in a sample is bound to the wells by the immobilized antibody. 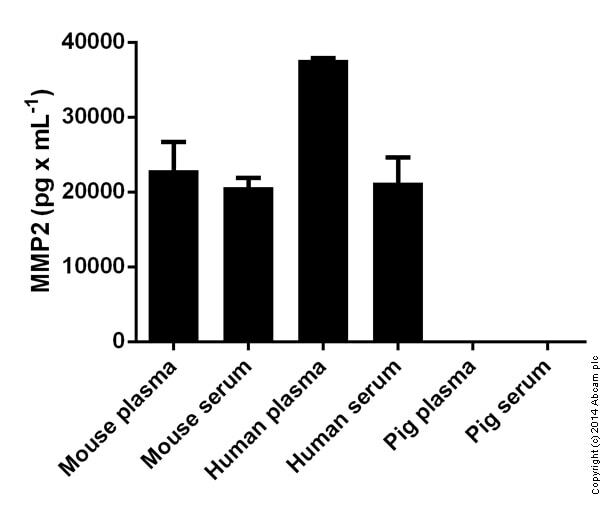 The wells are washed and biotinylated anti-mouse MMP2 antibody is added. After washing away unbound biotinylated antibody, HRP-conjugated streptavidin is pipetted to the wells. The wells are again washed, a TMB substrate solution is added to the wells and color develops in proportion to the amount of MMP2 bound. The Stop Solution changes the color from blue to yellow, and the intensity of the color is measured at 450 nm. Our Abpromise guarantee covers the use of ab100730 in the following tested applications. Publishing research using ab100730? Please let us know so that we can cite the reference in this datasheet. 1. Storage: -20degree storage, with many of the sample frozen and re-thawed in case you want to use the kit over 2 experiments (separate tubes would have fixed this).